Doors open at 6:45 pm. Beer, wine and refreshments will be available for purchase. General admission seating. Tickets will be sold at the door the night of the event if still available. For more information call 360-363-8400. Our first show at one of Ballard’s great live music venues. Come ready to dance! Doors 8pm, Will Moore opens at 9pm. Join us for two intimate shows May 4-5 at Mike & Cindy’s Hillside House Concerts, at a beautiful setting in Leavenworth, WA. Only 36 tickets available each night. Reach out to mshendricks@nullhotmail.com today to reserve yours! LeRoy Bell and His Only Friends return to the Triple Door for two shows on December 29 and 30. Get your tickets now! See you at the Triple Door – March 4th, two shows! We’ve got a new website and we’re really excited about it! Look around, listen to some tunes, tell us what you think! 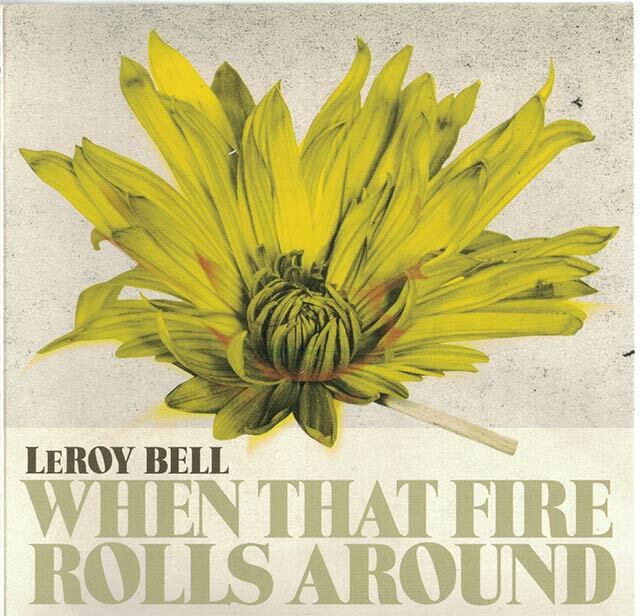 We’re very pleased to announce the latest from LeRoy and his friends, “When That Fire Rolls Around,” due out tomorrow, June 7!